Personal Injury Protection (PIP) covers medical expenses for injuries sustained in an auto accident by you, passengers in your covered auto, and relatives living in your household. Medical – Personal Injury Protection (PIP) will cover up to 80 percent of all accident-related expenses and up to 100 percent if extended PIP is purchased. Disability – If any of the covered individuals are unable to work due to accident-related injuries, PIP helps recover up to 60 percent of their gross income. This also includes any reasonable expenses incurred during the recovery period. Up to 80% if extended PIP is purchased. Total payments covered by PIP are limited to $10,000 per person, per incident. Higher limits are available through extended PIP. The coverage limits you set in your Florida auto insurance quote refers to the maximum amounts that will be paid per accident. The dual coverage limits you select in your Florida auto insurance quote refer to the maximum amounts that will be paid per person, per incident, respectively. Medical payments may also cover policyholders and their family members when they are injured while riding in someone else’s car or if a car hits them while on foot or bicycling. The auto insurance coverage limit refers to the maximum amount that will be paid per person, per accident. If you choose to have uninsured/underinsured motorist bodily injury on your Florida policy and you want it to apply to multiple cars, you must select the same limit for each car. Also, the limits you choose must be less than, or equal to, your bodily injury limits. Uninsured/underinsured motorist bodily Injury provides coverage to the policyholder, authorized policy members, and passengers. The dual coverage limits you see in your Florida auto insurance quote refer to the maximum amount that will be paid per person, per incident, respectively. If the other driver is uninsured, this coverage can generally pay up to the limit you purchase. 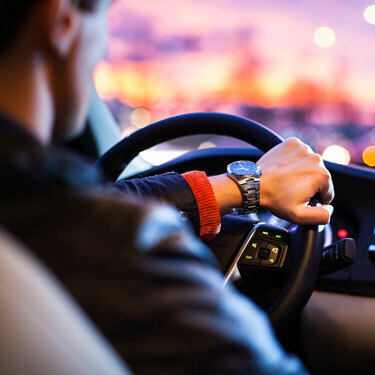 If the driver is underinsured, this coverage typically pays the difference between what’s covered by the other driver’s insurance and what’s covered by your bodily injury coverage. If the limits you purchase are lower than an accident’s costs, you’ll be responsible for paying the amount over your limits, unless you’re covered by health insurance. Selecting the stacking option for uninsured/underinsured motorist bodily injury coverage increases your auto insurance premium. If you’re only insuring one car, stacking will only offer a benefit when another household member has a separate policy that also includes stacking for his or her vehicle(s). Comprehensive coverage is optional in Florida. However, it must be included on policies that have collision coverage, and it can’t be purchased without bodily injury coverage. The amount you see in your Florida auto insurance quote refers to the deductible, or the portion of a claim you’re responsible for paying. Collision coverage is optional in Florida, and can’t be purchased without comprehensive coverage. Repair or replacement cost of the vehicle that has collided with other cars/objects or has rolled over. Emergency Road Service coverage is optional in Florida. This coverage, sometimes called Towing coverage, pays for the cost of towing your car if it becomes disabled. Emergency Road Service coverage cannot be purchased without collision coverage. The coverage limits you see in your quote refer to the maximum amount that will be paid per incident. Rental car coverage is optional in Florida. Rental car coverage can’t be purchased without collision and comprehensive coverage. This coverage pays for the cost of a rental car if you can’t drive the insured vehicle due to theft or damage from an accident. The dual coverage limits you see in your quote refer to the maximum amount that will be paid per day, per accident, respectively. Customized equipment coverage is optional in Florida. If you buy this coverage, you must also buy comprehensive and collision coverage. Customized equipment coverage is appropriate if your vehicle has permanently installed custom parts or equipment other than those installed by the original manufacturer. Special equipment on vehicles, vans, and trucks, including: running boards, brush bars, roll bars, undercarriage lighting, fog lights, bed liners, camper shells, trailer hitches, etc. Within the limits you select in your quote, this coverage reimburses you for the lowest amount of the following: the actual cash value, the declared value, or the actual cost to repair. Who might benefit from buying customized equipment coverage? Your Florida auto insurance policy covers only the original equipment included by the manufacturer. Should your vehicle have additional equipment, accessories, enhancements, and changes that alter the appearance or performance of the vehicle, it’s advisable that you buy additional coverage to protect these items. Loan/lease gap coverage is optional in Florida. To buy this auto insurance coverage, you must have collision and comprehensive coverage and your car must also be financed or leased. Any greater amount owed on the vehicle at the time of loss, less any unpaid finance charges, excess mileage or wear and tear charges, any other charges or expenses associated with the loan or lease, and the vehicle’s salvage value (if retained by the owner or insured). Any payment under this coverage will not exceed 25% of the actual cash value of the vehicle at the time of the loss. Drivers in Florida have a lot to feel sunny about with the following Sunshine State discounts from EquiInsurance, LLC on behalf of one of our carriers. If you own 2 or more private passenger automobiles, which are insured under the same policy, you qualify for the Florida multiple car discount. A paid in full discount will be applied to your Florida auto insurance if you choose to pay your premium all at once when you buy your policy or before your next policy term renewal. You may qualify for a homeowners discount if you (or your spouse) own a home or a condo in Florida. Acceptable proof of home ownership includes a homeowner’s declarations page, a mortgage coupon, or property tax records. Verification may be requested at any time. If you’re a driver under age 25 and a full-time student, you may qualify for a good student discount on your Florida auto insurance. To qualify, your GPA must be a “B” or better or “3.0” on a “4.0” grade scale. If you’ve recently graduated, you’ll continue to receive the discount for one year. Full-time students must currently be enrolled in high school or at an accredited college or university. Documentation is required annually. If you’re an eligible driver age 55 or over and have successfully completed the National Safety Counsel’s Defensive Driving Course, or a similar accident prevention course approved by the Florida Department of Highway Safety and Motor Vehicles, you’re eligible for this Florida discount. The discount remains in effect for the 36-month period from the date of successful completion of the course. You may be asked to submit proof of successful completion of an approved defensive driving course to verify your eligibility to receive the discount. You must not have any at-fault accidents or violations for the prior 36 months. The discount will be removed at renewal if a violation or an at-fault accident has been reported. Vehicles with seat belts, driver airbag, dual airbags and/or side airbags may qualify for the safety device discount. The safety device must be original equipment installed by the manufacturer. If your vehicle is equipped with an approved recovery system, you’ll receive a discount on your comprehensive coverage. If your vehicle is equipped with 4-wheel anti-lock brakes, you’ll qualify for a discount on your Florida auto insurance. The 4-wheel anti-lock brakes must be original equipment installed by the manufacturer. You’ll be eligible for a discount on your comprehensive coverage if your vehicle’s VIN number is etched into all windows of the vehicle. If you currently have auto insurance and you switch to EquiInsurance,LLC you might be eligible to receive up to a 5% discount from one of our carriers.